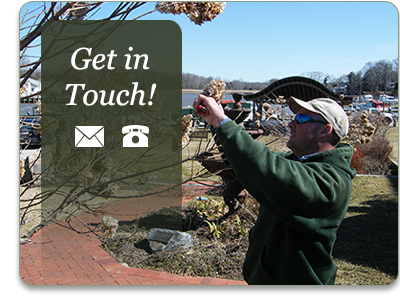 Based on the beautiful Elk Neck Peninsula in northeastern Maryland, Heartwood Landscaping & Tree Services, Inc. has been providing landscape and tree service to residents in Cecil County, Harford County, New Castle County and southern Chester County for over 25 years. Heartwood Landscaping is fully licensed and insured. Heartwood specializes in building and maintaining beautiful gardens, both large and small. We have the expertise and experience to deliver whatever your landscape needs. From designing small to large gardens to installing walls and patios. Heartwood provides top quality service with a passion for excellence and attention to detail. We have an outstanding reputation in the community for providing the best, and most knowledgeable service around. We also offer a full line of tree services. We can prune and shape your trees to keep them looking good and healthy. We can remove trees no matter size or condition. We can grind and remove stumps. We offer Plant Health Care Services to improve or maintain the health of your plants. Our certified arborists can evaluate your trees and help develop a plan that works best for you. What sets us apart from most other companies is that we can provide holistic solutions to your project. We can remove a tree, grind out a stump, design an outdoor living space, and install the patio, deck, walkways and flower beds that are included in those designs. We will take care of the entire project without you having to bring in multiple contractors to perform the different stages of your project.